CITROEN CENTENARY 1919 – 2019. 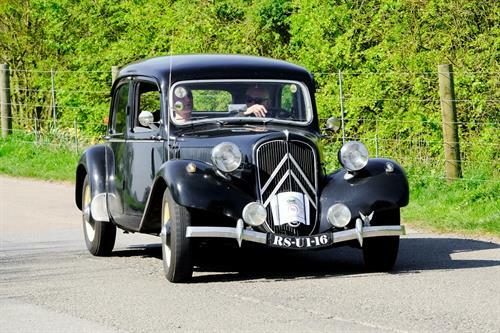 As part of Citroën’s centenary celebrations, the French automotive brand will display some of its most iconic heritage vehicles at the London Classic Car Show 2019, taking place at ExCel London from 14 - 17 February. CITROËN B12 TAXI The only surviving example of its kind in the UK, this 1926 Citroën B12 Taxi was found in 2002 in a chicken shed on a farm just outside Paris. A complete restoration was undertaken in Kent. CITROËN TRACTION AVANT The Citroën Traction 7 was the first of the Traction Avant (front-wheel drive) line that eventually ran all the way through to 1957. It was the first car in the world to lose the running board, which changed the way you got into a car. CITROËN 2CV In 1935, Maison Michelin took over Citroën and proposed a ‘people’s car’ for rural drivers/ The 2CV went on to be a hugely successful model with almost four million cars being manufactured until it was phased out in 1990. The model on show will be a 1964 2CV AZAM, which is one of only five of this specification left in the UK. CITROËN DS Its eye-catching design, of Flaminio Bertoni, caused it to stand out when it was launched at the 1955 Paris Motor Show. This futuristic design earned Citroën DS the nickname the ‘Flying Saucer’. Also on display will be a 1985 eight-seater Citroën CX Familiales in full ‘Prestige’ specification. Part of Citroen’s history includes 40 years when it made cars in Slough. The rising demand for the vehicles and the imposition of duties on imported vehicles led Citroën to set up an assembly plant to manufacture cars for the British domestic and Empire (later Commonwealth) markets where right hand drive cars were the norm. The Citroën factory, in the Slough Trading Estate was opened on 18th February 1926 and was to continue building cars until 1965. 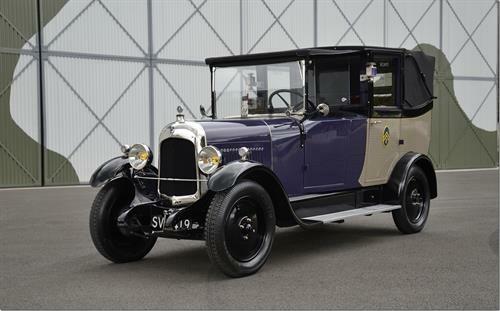 Not only were the cars built with right hand drive steering, they were frequently renamed and equipped with extras not fitted to the domestic market vehicles. 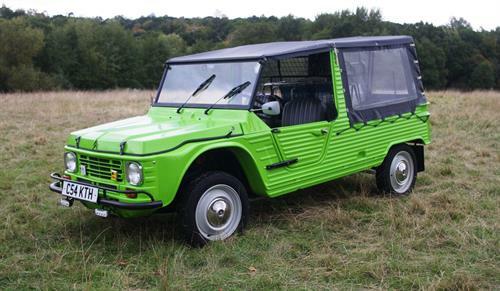 One of the rarest of all production Citroëns was the Slough-built 2 CV-based Bijou. More than 57,000 Citroëns were manufactured and assembled in Slough; from the early Type C to the final DS21, including on the way, the Light Fifteen, the 2CV and the Citroën Bijou. During the Second World War, the plant built a further 23,000 CMP (Canadian Military Pattern) Trucks. Citroen are now part of Peugeot Citroen, PSA, which took over the UK Vauxhall factories last year. Thanks to Malcolm Bobbitt for his help, Malcolm has written several books on Citroen.